A heartbreak occasioned by frequent disappointments is what Naftali Njahi Kinuthia, 28, claims is the key reason he fatally hacked 25-year-old Ivy Wangechi, a Sixth Year medical student at Moi University main campus. “The accused said he used to send the woman some money. The girl, according to the suspect, had told him that she was organising her birthday party, which would happen soon. He said he sent her some money to arrange the event. Since then, the woman refused to pick his calls, said the suspect. That is what prompted him to travel [from Thika] to Eldoret. He said he wanted to know why she was ignoring him,” Eldoret East DCI boss Mr Kingi told EDAILY in an exclusive interview Wednesday. 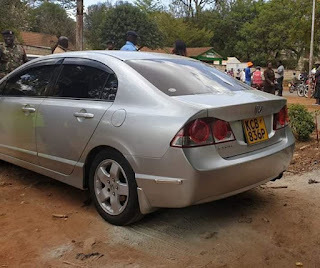 “He said that also provoked him into returning to Eldoret[on Monday] to try speak with the woman.Upon returning to Eldoret, the man said he felt despised by the woman when she refused to pick his calls. From our sources, the suspect bought the axe and knife in Eldoret. They were sharpened in Eldoret. We’re yet to interrogate him further. Once he is stable, he will be taken to court,” said Mr Kingi. Mr Kingi says Kinuthia, a Thika resident, works with one of the Kenyan betting firms. 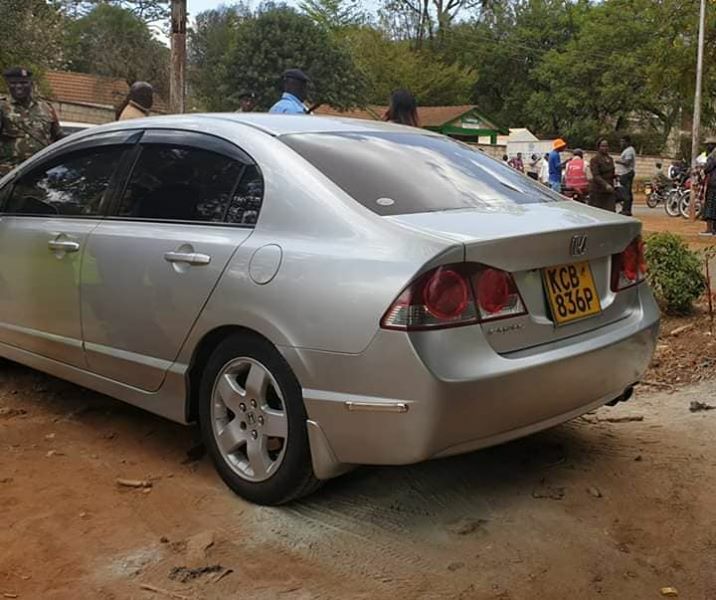 He drove to Eldoret in a personal vehicle of registration plate KCB 838P, which the DCI says they are yet to establish who owns the car. “His phone was found in the car. We are yet to know if he regrets his actiona, or it was something he fully planned,” said Mr Kingi. 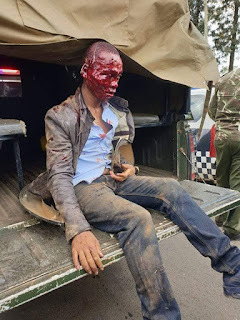 Yesterday Kenyans witnessed the most brutal murder this year. Ivy Wangeci a 6th year medical student, was brutally murdered by naftali Njahi Kinuthia a businessman based in Nakuru. Kinuthia had traveled all the way from thika to Eldoret just to commit the heinous crime. The man was shouting with bitterness as he was receiving treatment that the lady infected him with HIV among other things. As he was being wheeled to the emergency room, Kinuthia made it clear that if Wangeci is dead then he can now die peacefully himself. "kama Ivy amekufa now mnaeza niuua Mimi sasa" loosely translated to mean, if ivy is dead you can as well kill me aslo. 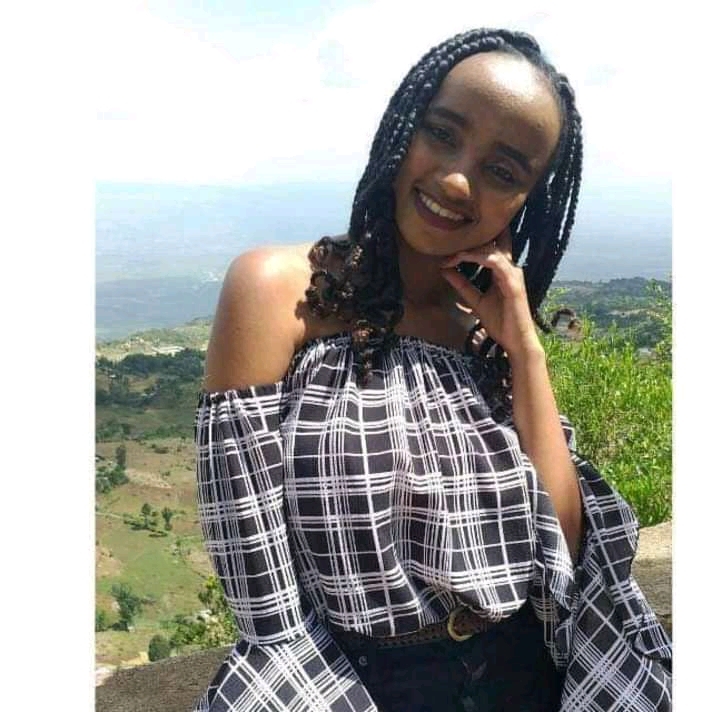 Naftali Njahi Kinuthia has been identified as the killer of Ivy Wangeci, who was brutally murdered yesterday in cold blood. Wangeci and naftali had been in a relationship before Wangeci broke up with him. Naftali did not give up, he persistently stalked and disturbed her by phone calls and text messages hoping she will return to him. But that was not forthcoming, naftali also senting her gifts and money but Wangeci was not interested in him anymore. She even bought her and expensive phone,Wangeci wanted to return the phone but her friends advived her to keep it. The disturbance increased forcing Wangeci to change her phone, but still naftali was able to get her new number from friends. Feeling tired of naftali constant disturbance, Wangeci sent a friend to tell Naftali that she was now engaged and was about to be married soon. This is the statement according to friends that angared naftali. He traveled 350 km from Thika to Eldoret just to kill Wangeci. Ivy Wangeci was killed by ex boyfriend after she declined his proposal for marriage. A close friend said that the ex boyfriend trailed and killed her after he heard that Ivy Wangeci was currently engaged to someone else. 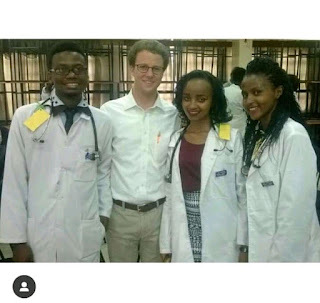 Here are photos of the slain gorgeous student. The prostitutes who don't need to be named, have created this fictitious facade and turned a whole generation of young ladies into pseudo sluts. Due to the fact that moneyed men are lesser in this Uhuru economy which has been brought to its knees due to the corruption.The Kenyan economy is currently one of the toughest since independence. 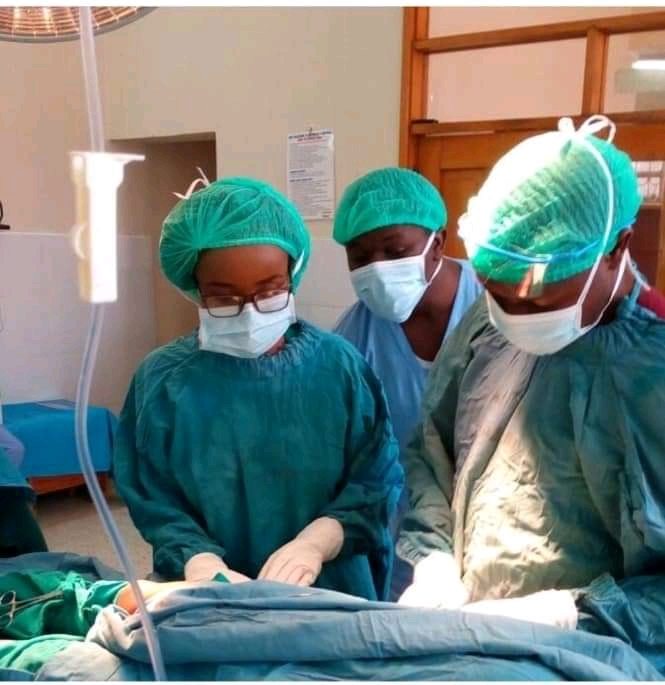 It's this unfortunate situation that Ms. Ivy Wangechi found herself in, torn between maintaining sexual ties with her sponsor and being loyal to her boyfriend. And with that, created this mess that we are witnessing today. We should not be quick to judge or demonize anyone, but instead concentrate on the underlying issues. Let's stop beating around the bush. It's not common practice for someone to just drive and hack someone. The issues must have been very weighty and without access to advise and/or counselling, one is bound to do something stupid. It is now emerging that she might have deliberately infected the young man with HIV after getting it from a sponsor who was funding her high end lifestyle. 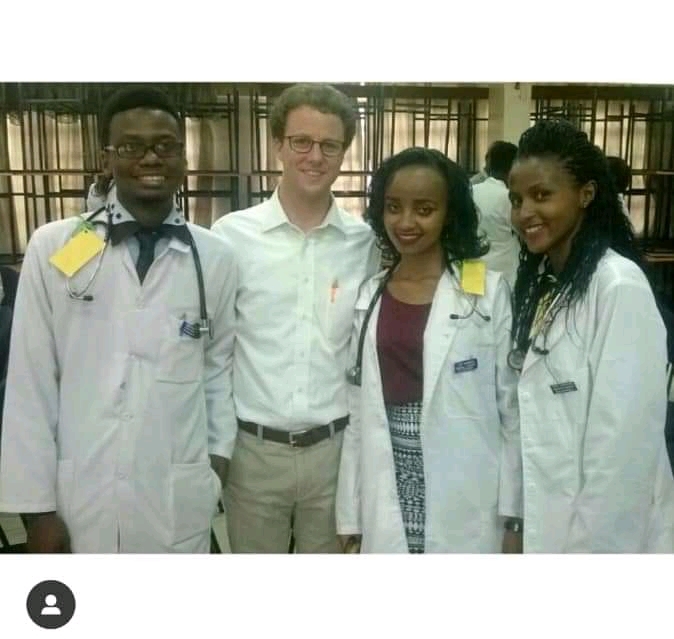 Sad News Moi University 6th year medical student Ivy Wangeci Gorgeous was hacked to death this morning in broad daylight as she was coming from her medical practicals at The Moi Teaching and Referral hospital, Ivy's Killer (shown in pic 3) arrived using car(KCP836P), closely monitored her then followed her as she was heading to Chandaria Center and hit her on the head with an axe then slit her throat with a sword before hitting her 3 times again with the Axe.Rest In Peace Wangeci,may your killer lack peace forever. It has emerged ivy was living with another man in Eldoret Moi campus. Those privy to their relationship also say that the boyfriend went to a VCT center after learning about the relationship and also tested positive. 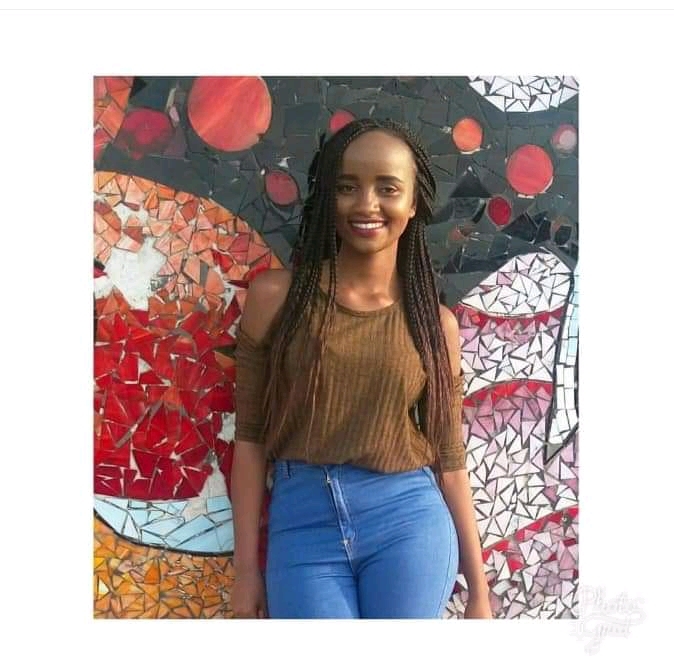 closely monitored her then followed her as she was heading to Chandaria Center and hit her on the head with an axe then slit her throat with a sword before hitting her 3 times again with the Axe.Rest In Peace Wangeci,may your killer lack peace forever. Preliminary reports show it was a murder triggered by jealous. The suspect was in love with ivy but ivy was in love with someone else.